Dr. Lisetta Lam graduated with a Bachelor of Dental Surgery and Bachelor of Science in Dentistry with First-class Honours from the University of Adelaide in 2005. 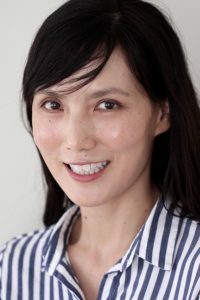 She practiced general dentistry in Brisbane for several years before pursuing further study in Master of Dental Surgery in Oral and Maxillofacial Surgery from the University of Hong Kong, achieving skills and experience in dentoalveolar and implant surgery and oral pathology. She has also published several articles in the Australian Dental Journal and Oral Oncology. After returning to Brisbane, Lisetta completed her specialist training in the field of Periodontology from the University of Queensland in 2018. She is currently a member of Australian and New Zealand Academy of Periodontists, Australian Society of Periodontist and International Team for Implantology. Lisetta takes great satisfaction in providing the highest level of periodontal and implant therapy for her patients with a gentle and caring approach.